I had decided to go with Coca-cola pork as my main dish. Daughter Miriam suggested that Coca-cola pork calls for rice. However, I was doing a more Southern version of Coca-cola pork and that calls for potato salad. This is a weekday meal of ham steak and frozen fries. I wanted something quick as a salad, but not boring. “Quick,” however, does not mean that it should be bad for you or not taste good. For Labor Day it is tradition to have a barbecue. Just to be different this year, I decided to make koobideh hamburgers. Another typical dish for Labor Day is coleslaw, but how to make it more Middle Eastern to go with the meat? Adding sumac seemed the ticket. Sumac is a sour dried berry that is ground to a powder and used as a condiment and spice in Middle Eastern cooking. This week I am making Santa Maria tri-tip, which calls for Santa Maria-style beans. 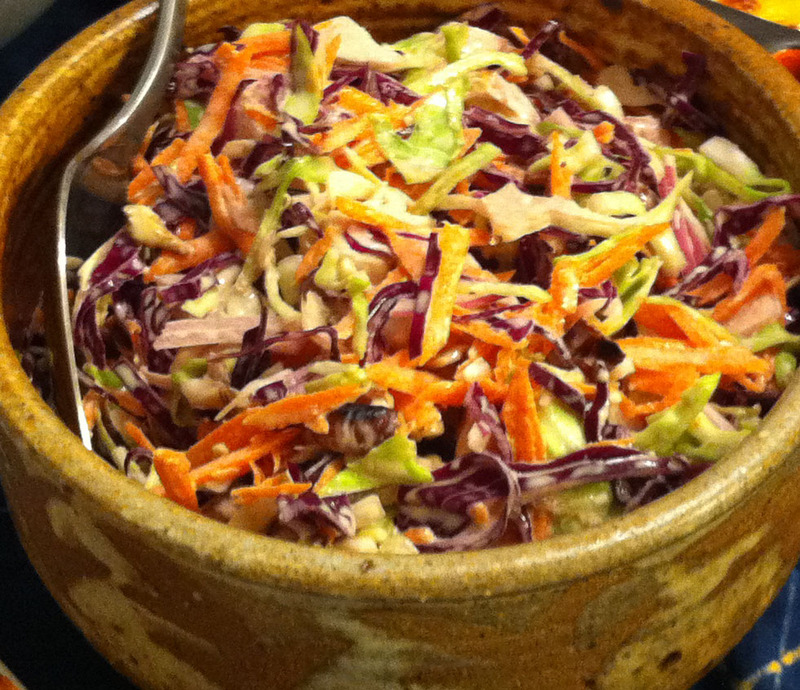 While many sites call for serving coleslaw with this meal, I could not find anything called “Santa Maria-style coleslaw.” Having grownup just a few miles away, in Santa Barbara, I decided to fill this obvious need. A while ago, Jan went to Napa and came back raving about Pica Pica’s arepas. She demanded that I learn how to make these South American pocket breads. I did my best, based only on her description and what I could find on the internet. Last week, we went up to San Francisco and I actually got to try one of Pica Pica’s arepas. I decided to try to make them again. I am making orange glazed salmon and mashed yams tonight. While Jan is on her soft food diet this dish will be too hard for her to eat, however, Eilene wants something besides baby food for dinner. I have been doing a lot of Christmas cooking lately, so I have had very little time to blog about cooking. Earlier this week we had sausages and latkes for dinner. 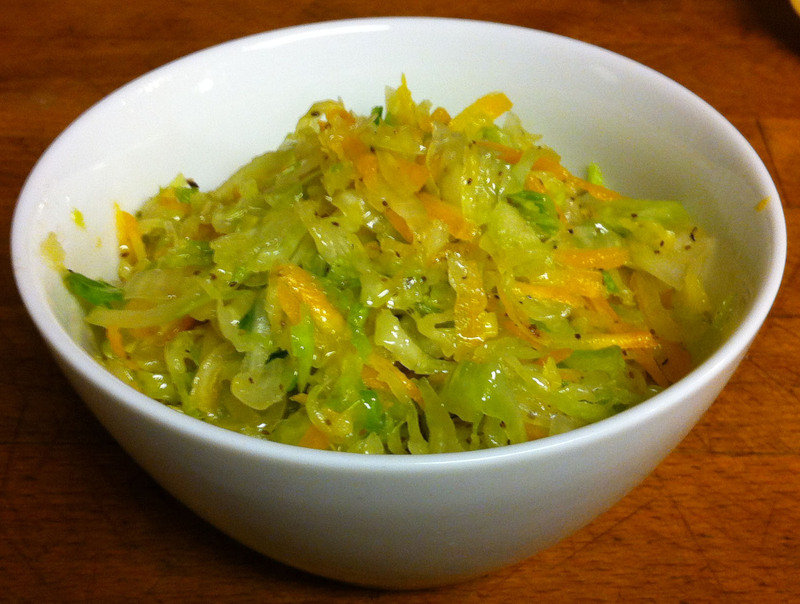 Coleslaw goes well with this meal, but I did not have enough of any one cabbage to make it.